In October, Château de Saint Marcel de Félines hosted the 3rd edition of Vieilles Pierres Jeunes Plantes (Old Stones, Young Plants), its event dedicated to garden and country living. 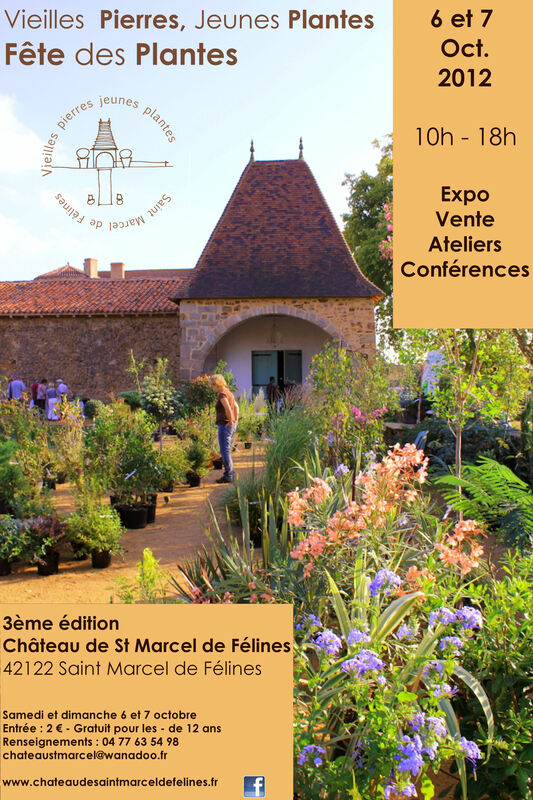 At the very heart of the castle’s park, overlooking the Lyonnais and Forez mountains, forty exhibitors – nurseries, growers and breeders, gardening tools and garden furniture specialists – gourmet stands – around the garden – well-being through plants – showed and sold their goods. Conferences by specialists, workshops and artists’ exhibitions to share knowledge and passion. The year’s theme was beekeeping. At 10.30 opening of the exhibition “Happy apiculteurs” (happy beekeepers). Stéphane MELETON, the beekeeper in charge of the 10 beehives in the park shared his passion and knowledge with visitors and practical workshops were organised all through the weekend. Every year, this event, which is a true laboratory of exchanges between tradition and modernity, reveals young talents with a contemporary vision of country heritage. This year carte blanche to Aurélien MIROFLE, a city dwelling designer who curated the “Happy Apiculteurs” exhibition: ten creative beehives, created by young cabinetmakers; the photographer Paul-André COUMES signed his latest book “Le Volcan aux abeilles”. On Saturday evening, a lantern festival with the Rock’n Brass group, illumination of the canal and garden and the magic of hundreds of lanterns released in the night. On Sunday pony rides were organised for children.